Central Mosque in Dushanbe. Picture from RFE/RL. Used under creative commons. 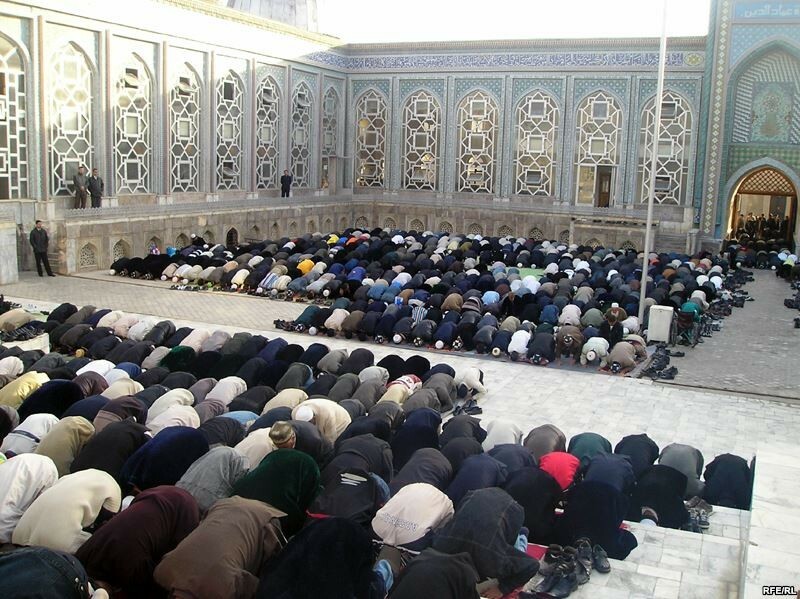 Practicing Islam is becoming harder in Tajikistan, a majority Muslim post-Soviet state whose leadership is increasingly uncomfortable with the new “non-traditional” face of the religion in the country. The government's vision for Islam is in keeping with practices in the Soviet Union, when religion was tolerated in private settings but was not to be seen or heard in public. Currently the state is launching stealth attacks on the hijab, beards, ‘no alcohol’ signs in eateries, the hajj pilgrimage, and the use of religious suffixes in names. Tajikistan's young social media-savvy demographic oscillates between protesting the changes and mocking the government. The hijab has long been banned in schools, universities, and governmental offices. Now it seems the Islamic veil will not see the light of day, despite the fact custom dictates it is more important for women to wear it outside than inside. Pressure on hijab-wearers began almost immediately after President Emomali Rahmon congratulated Tajik women on the occasion of Mothers’ Day (Tajikistan's version of International Women's Day) and called on them to wear colourful national dress rather than dark “foreign” clothes. The Tajik authorities accepted the signal. Soon after the speech, Tajik state TV made an improbable link between wearing the hijab and prostitution, while the Mayor of the country's capital city Dushanbe issued an order for municipal authorities to dissuade women from ‘extremism’. The Mayor of the second largest city, Khujand, demanded that the sale of “Iranian and Afghan” clothes be prevented, leading to inspections of shops selling Islamic clothing by police and tax officials. The hijab hunt trended on social media as hundreds of users made comments. While some were opposed to “Dushanbe turning into Tehran or Kabul”, most condemned the authorities’ actions as an imposition against free will. Recently Khujand has been going even further in its fight against ‘foreign appearances’. On March 31 a visitor to Khujand lost his way, and asked a local policeman how to find it again. The 38-year-old man, who grew a beard after a pilgrimage to the Kaaba five years ago, soon regretted his question. …but if this man changed his appearance to an Arabic style and grew a beard of one meter in length, our society is not Islamic and does not accept that. Two days later, on April 2, a well-known blogger and founder of blogiston.tj, Rustam Gulov, also got his beard shaved by police. Вот и до меня добрались …Сегодня не с того, ни с сего, отвезли трое “оперативников” в худжандский отдел милиции и принудительно побрили бороду. У этой страны нет будущего! 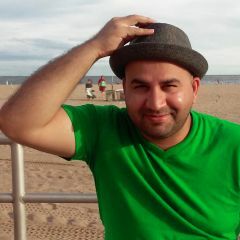 They got to me too… Today, three policemen took me to Khujand police station and shaved my beard forcedly. This country does not have a future! Gulov disliked the free barber service at the police station and sent an open letter of complaint to the President of Tajikistan. 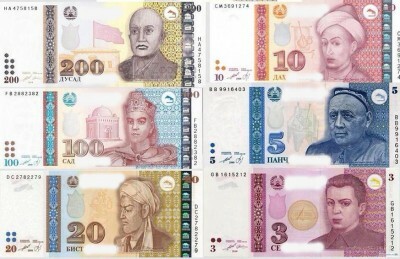 Tajik netizens used the case to have a bit of fun, shaving beards off the historical figures depicted on Tajikistan's national currency the somoni in a widely shared meme. Global Voices has erased from the meme words that are insulting to Tajikistan's president and his family in order to comply with Tajik law. Tajik lawyer Fayzinisso Vohidova was one of the first to inform people about another new tendency in Khujand. Herein eateries serving national food were urged to withdraw their ‘no alcohol’ signs, apparently to avoid violating the rights of those who drink alcohol. Акнун дар нуктахои савдои хуроки умум фуруши машруботи спирти ичборан ба рох монда мешавад. Ахиран имруз чанд нафар сохибони ошхонахо ба ман мурочиат карданд, ки масъулини макомотхои давлати онхоро мачбур карда истодаанд, ки фуруши нушокии спиртиро хатман ба рох монда, хатто мизочро барои нушидан ва харидани он хавасманд кунанд, то ки бо ин рох накшаи андоз ичро шавад. Хатто бахона пеш оварданд, ки азбаски солхои ахир намозхон зиед шуда, шумораи майнушон кам шудааст, ба бучаи давлат зарар расидааст. Now public eateries will be forced to sell alcoholic drinks. Recently, owners of some eateries told me that authorities are forcing them to sell alcohol too and encourage customers to buy and drink it, in order to meet the tax plan. They were told that the state budget was being damaged because of the increase in the number of those who pray, and the decrease in the number of those who drink…. ин тасмим танҳо ба хотири эҳтироми бузургсолон гирифта шудааст, ки синнашон алакай ба ҷое расидааст ва тавону орзуи адои зиёрати хонаи Худоро доранд. This decision was taken only as a respect for elderly, taking into account their age and ability and wish to visit the God’s House. Агар насибамон ба 35 расидан набошад чи кор кунем? If we have a fate not to reach the age of 35, then what shall we do? Can prefixes and suffixes be ‘discriminatory'? Tajiks with religious suffixes in their names are also beginning to fret. The Tajik Ministry of Justice wants equality for all, it says, and told Radio Ozodi on April 13 that it had drafted a new law to ban names which “result in discrimination of people, dividing them into different classes”, such as ‘mullah’, ‘khalifah’, ‘tourah’, ‘khojah’, ‘shaikh’, ‘amir’, ‘sufi’ and so on. These nouns are often associated with Islam, and if the draft law goes through Tajikistan's rubber-stamp parliament they will be banned alongside the names of animals and products that come from ‘alien cultures’. Once again Khujand was the first place to tap into the new initiative. Rustam Gulov, the blogger who lost his beard to the beard police, posted a picture of a big department store in the city that used to be called Hoji Abdulaziz: now it is just ‘Abdulaziz’. In the meantime, paradoxically, authorities are constructing Central Asia's biggest mosque — funded by Qatar — which will join Central Asia's largest library, Central Asia's largest theatre and the second tallest free standing flagpole in the world in the capital Dushanbe.